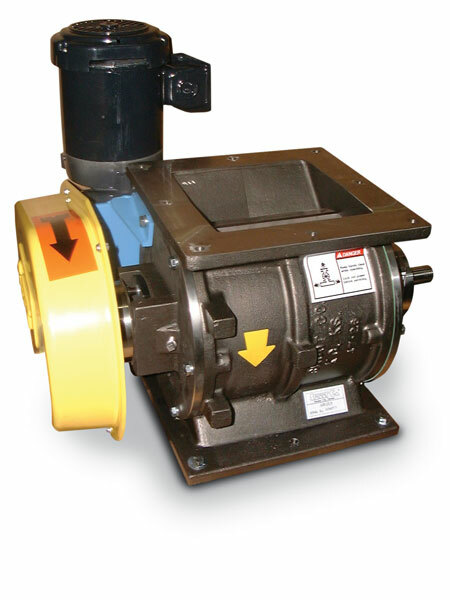 The Stainless Steel Rotary Valve Type-4 Airlock is our complete stainless steel rotary valve with the rotor made out of 304 stainless steel with the housing and endplates made from cast 316 stainless steel. It is available in our two most popular airlock sizes (9” and 12” valves) and is made from the same robust design as our cast iron valves and available with all the same options including the two most popular being relieved tips (cuts down on the surface area of the tips for sticky or shearable materials) and shaft air purge (a kit that puts a compressed air purge right at the seals in endplates). Since this valve is used in food applications, we also offer the option of having the rotor welds ground smooth and flush.